The mountains in the Karakorum are the least explored in the world as compared to other mountain ranges and highest peaks due to their remoteness and lack of infrastructure. This is one of the reasons of naming the K-2 as the Chogori or Chhogori. In 1802, the British government conducted a survey, Great Trigonometric Survey, to measure the Indian subcontinent and every mountain peak was tried to measure with what possibilities they had. As mentioned, the peaks in the Karakoram mountain ranges were far far away and very difficult to reach out, the surveyor measured some mountains visible from another mountain peak, some 210 kilometers in the present day Indian occupied Kashmir. The surveyor named two mountains as K1 and K2 from mount Harmukh, 210 kilometers south of K2. As they had tried to use the local name for every mountain they had measured, the K1 appeared to be Mashabrum but they found no name for the K-2. Why did they name it K-2? They were measuring the K-2 from some 210 kilometers, so they guessed that K-2 is the second highest peak in the region. But later they came to know that actually K-2 was the highest peak in the region and K-1 was actually not higher than K-2. 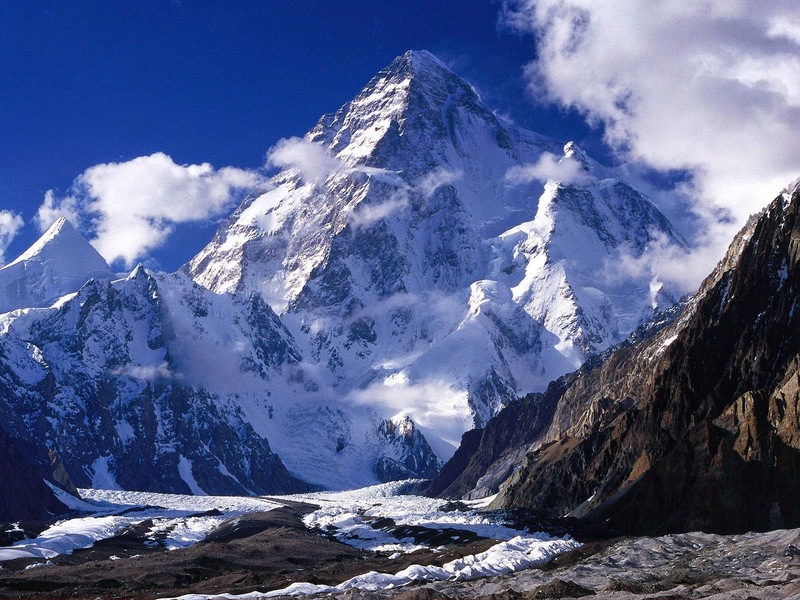 So, it was initially named K-2, therefore, it is still known as K-2, due to geographical survey name and due to unavailability of the local name for the peak. So, what does mean by Chogori or Chhogori? Well, Chogori is derived from the local dialect which is spoken in the region known as Balti, actually a family of Tibetan Langauge. In Balti language, Chogo means Big and Ri means mountain peak. So, literally, it means big mountain peak. But it is probably coined later, therefore, it doesn't give a pleasure to call the K2 as Chogori or Chhgori. The fact is, the mountain is desolate and remote that the Balti people hadn't explored or bother to explore the region due to difficult terrain and very remote location. In Baltistan, every small ridge has a name, in fact being a local resident I know that every small peak and even every part of a peak has a local name. But the lack of Balti name for K-2 is its remoteness. The main factor of having no local name of K-2 is due to its location. From the last human settlement, Askoli in the Baltistan region, it takes 8 days to reach the base camp of K-2. So, one can imagine how far it was and still is, from the human settlement. The second reason is, in the past, the local residents use to hunt Ibex and Markhor, in that way they explored and discovered new peak and named them. Actually, the Ibex and Markhor live at such places which can grow grass to feed them. The region around the K-2 is packed with glacier and rocky mountains and there are a few places where you could find a sign of vegetation. So, there were no Ibex and Markhor and local didn't explore the peak.